The Pribilof Islands, in the Bering Sea, where on top of my destinations list when visiting Alaska. They are full of seabirds and ever shrouded in mystical mist. 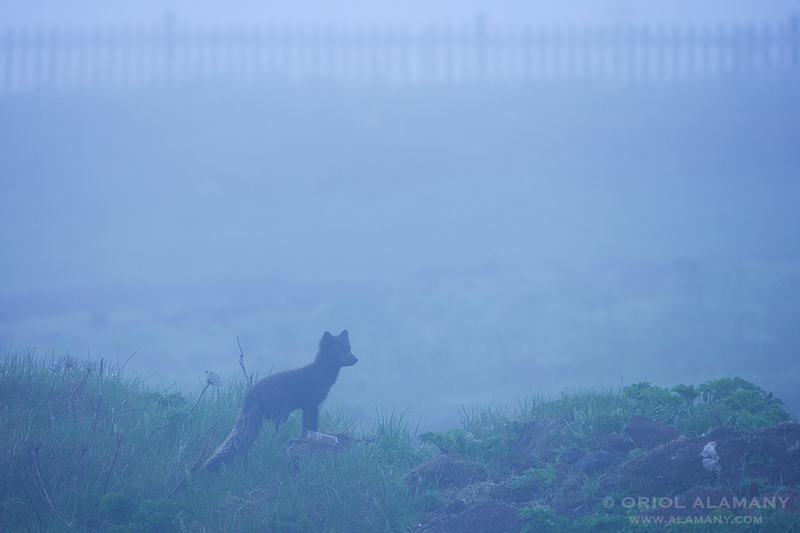 This Arctic Fox (Alopex lagopus) was patrolling the sea cliff top looking for seabirds eggs. The picture would look more infinite if the fence in the background would have been cut of.